Slipknot Mick Adult Mask Number Seven knows how to make music rock. 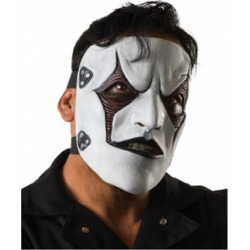 Includes: Mask with metallic silver look and vertical holes for mouth. Available Size: One Size fits most Adults This is an officially licensed Slipknot product.